This Valentines Day why not turn to the Land of Milk and Honey for sweet inspiration with your loved one. A Yarden Blanc de Blancs and Brut Rose is a great addition into your holiday choice. The sparkling wines of Yarden are produced from vineyards in the volcanic, rocky soil of the Golan Heights, which overlook the Galilee. Yarden urges Valentine’s Day celebrants this year to try two of Israel’s top sparkling wines – the Yarden Blanc de Blancs and the Brute Rose – to add a flavorful and historic taste to the holiday. “It’s always wonderful to enjoy sparkling wines on Valentine’s Day, but drinking the distinctive sparkling wines of the ancient Land of Israel brings a whole new – and historic – flavor to the holiday experience,” said Dorit Ben Simon, international marketing manager for Yarden Inc., the U.S. importer of the Galil Mountain and Golan Heights wineries. The Yarden Blanc de Blancs is made entirely from chardonnay grapes from the northern Golan, according to the traditional method. The grapes are whole-cluster pressed, and the wine is aged for a minimum of four years with the tirage yeast. The wine, showing notes of delicate tropical fruit, floral and citrus, is balanced with nuances of toasted bread and minerals. This elegant, crisp and dry wine will age gracefully for up to 10 years from harvest, and pairs well with rich and/or salty food such as cold terrine of goose liver, toast points topped with avocado puree and caviar. The Yarden Brute Rose is made from 70 percent chardonnay and 30 percent pinot noir grapes, also from the northern Golan. The wine is made strictly by the champagne method, including pressing of whole clusters and secondary fermentation in the bottle. Disgorging began after five years of bottle aging on the tirage yeast. This sparkling wine is crisp and elegant, displaying an aromatic fusion of bright strawberry, citrus and pear fruit notes, balanced with characters of flowers, apple pie, baguette, and roasted nuts. The wine will age gracefully for up to 10 years from harvest. It pairs well with cured meats, tuna tartare, fish tacos, roast chicken, pumpkin ravioli or even a flaky raspberry pie. Enjoy on your day of sparking love! Hakkasan Chefs Create An Exclusive Menu for Chinese New Year. Happy New Year! In celebration of Chinese New Year 2018, Hakkasan, will welcome guests with a limited-edition signature menu created by Hakkasan chefs from London, USA, the Middle East, and Asia and at Hakkasan Las Vegas, the exclusive menu will be available from January 29 to February 28, 2018 in celebration of the Lunar New Year on Friday, February 16. Priced at $118 per person, guests will enjoy dishes using ingredients believed to bring good luck and prosperity for the coming year. As oysters traditionally symbolize good fortune, starters include the Szechuan Oyster with lotus root and crispy rice in mantau with other small eat dishes like Braised Beef Tongue and Caramelized Walnut with asparagus and mint and Crispy Scallop in sweet plum sauce with mango in a golden cup. The special menu's main dishes include Baked Chilean Sea Bass with kumquat glaze, as eating fish at Chinese New Year is said to bring increased prosperity, and Abalone Fried Rice in bean curd wrap with Chinese sausage, and shiitake mushroom – this dish contains fai cai (fat choy), an ingredient which in Chinese means to ‘get rich and grow wealth’. Additional main entrees include Wok-Fry Native Lobster in superior stock with edamame and caviar and Rhug Estate Organic Lamb in seaweed soy with celery and enoki mushroom. To finish, guests are invited to indulge in the Golden Fortune dessert with ginger caramel, roasted macadamia nuts, and lemongrass. On the beverage side, Hakkasan Group Head of Bar Eder Neto the Happy Daisy to mark the festival. The special cocktail is comprised of Tanqueray No.10 gin, Chartreuse Yellow, lemon, spiced mandarin jam, egg white, and soda water. During the celebrations, authentic Chinese lion dancers will perform at Hakkasan Las Vegas on Friday, February 16. These high energy, mesmerizing performances offer symbolic expressions of luck, prosperity and good fortune. As part of the festivities, Hakkasan will also continue their annual wishing tree tradition by inviting guests to write their wishes on red ribbons that will be hung around the restaurants. This custom is said to have begun hundreds of years ago in Lam Tsuen, Hong Kong. During Chinese New Year, villagers would travel for miles to visit the sacred Lam Tsuen Wishing Trees (two ancient banyan trees) and hang notes on the branches using red ribbon. These notes contained wishes for the year ahead and it was believed that the wishes that were successfully hung on the trees would come true. Shake Shack to Debut The Griddled Chick'n Club Jan 26th 2018. There is a new club in town and can be found at Shake Shack. The Griddled Chick’n Club, a griddled all-natural chicken breast with Niman Ranch smoked bacon, lettuce, tomato and buttermilk herb mayo on a potato bun, lands at Shake Shacks on Jan. 26 for a limited time. In Las Vegas you can find it at Downtown Summerlin, The District at Green Valley Ranch, Strip-side at New York-New York Hotel & Casino, and the newly opened North Premium Outlets. The Griddled Chick’n Club is crafted from an all-natural cage-free chicken breast—no hormones or antibiotics ever— marinated and topped with Niman Ranch applewood-smoked bacon, green leaf lettuce, Roma tomato and Shack-made buttermilk herb mayo on a potato bun. Can’t wait until Jan. 26? Get early access via the Shack App. From Jan. 23 through Jan. 25, fans can order the Griddled Chick’n Club exclusively on the Shack App – available on iOS and Android. Finally! 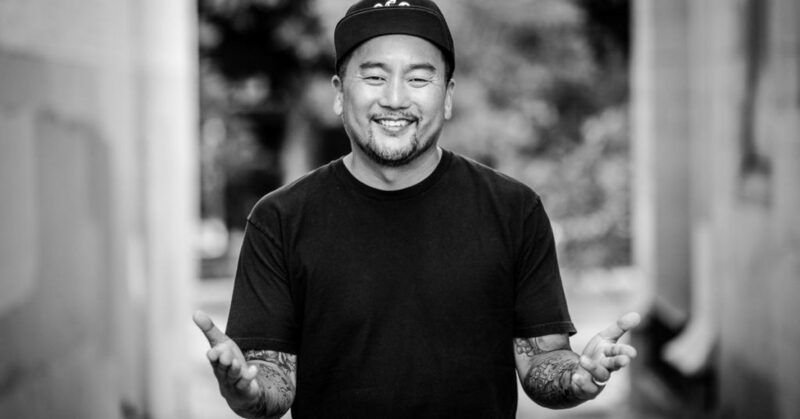 famed LA celebrity Roy Choi will add a new Korean flair to Las Vegas dining scene in the fall of 2018 with the debut of a Koreatown-inspired concept. This new dynamic destination will be located at the reimagined Monte Carlo as it morphs into Park MGM. You can expect this new venue to be celebration of L.A.’s Koreatown district featuring spaces that feel comfortable and familiar and an environment for guests to enjoy his distinctive cuisine. For years Chef Choi has been known as the pioneer of the food truck movement and bringing quality cuisine to all neighborhoods and people in LA. He was named one of the 100 Most Influential People by TIME Magazine in 2016. “We are building this place to celebrate the fans and families that have supported us, and to welcome new friends around the world to the culture, personalities, and amazing food experiences born on the streets of L.A.” He added. Stay tuned for more on this extraordinary new addition to the culinary all-stars of Las Vegas.